The ultimate Cornish landmark! 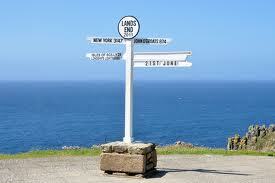 Have your photo taken at the iconic Land’s End Signpost, admire stunning views out to sea and the Longships Lighthouse. Check out the website for seasonal events and exhibitions. Cornwall’s free cultural playground. This 19 acre site has state of the art exhibitions, climb-on art, diverse gardens, a giant adventure playground and arts and crafts studios. Discover the story of Cornwall’s mining heritage in the fascinating museum. Europe’s leading seal rescue centre and Cornwall’s most heart warming story! Meet adorable seals and hear how they were rescued, get up close to penguins, otters and sea lions, explore the woodland walks and get hands on in the interactive rockpool. Cornwall’s living bee exhibition! See the bees working together in their colonies (from behind glass! ), make your own beeswax candle and try delicious honey fudge and ice cream, and of course the honey! Relax in the tea room and enjoy a wander around the gift shop. With big cats, monkeys, a fantastic tropical house and many other animals, Newquay zoo is the biggest in Cornwall. See the playful macaques have their lunch, feed the meerkats, or learn about the lions and lynx at daily talks. New for 2014 – Scarlet Macaw flight aviary. Located on the harbour side in Falmouth, The National Maritime Museum is a great all-weather attraction celebrating Cornwall’s history and relationship with the sea. An award winning wildlife sanctuary with over 650 birds and animals, with the JungleBarn play centre. Meet a friendly penguin, watch a bird flying display, feed the lorikeets and meet many other animals from red squirrels to red pandas! The largest collection of owls in the South West – over 140 owls and hawks from 50 different species from all over the world. If you're lucky, you may get to see baby owls playing in the crèche. Cornwall’s best aquarium. Meet marine life up close, from clownfish to miniature crocodiles! Meet new arrivals in the Blue Reef Nursery, listen to regular talks and watch feeding displays throughout the day. You can even see rescued turtles! Meet farm animals and rare breeds, and watch delicious ice cream being made from the viewing gallery – and of course taste it! Café and gift shop. 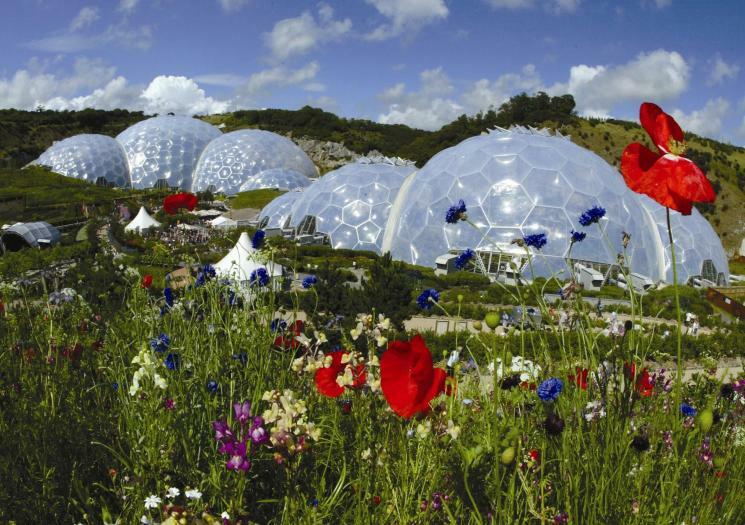 Cornwall’s world famous attraction and considered by some as the 8th wonder of the world! Explore the steamy Rainforest and perfumed Mediterranean under the cutting edge architecture of Eden’s unique biomes. There are also acres of outdoor gardens to discover, art, sculptures and exhibitions throughout the year. As seen on TV in Cornwall with Caroline Quentin, Autumn Watch and many other shows! See baby lobsters growing up, ready to be released into the wild. You can also meet the resident giant lobster and other creatures. Gift shop.